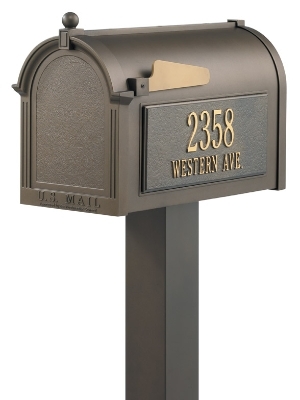 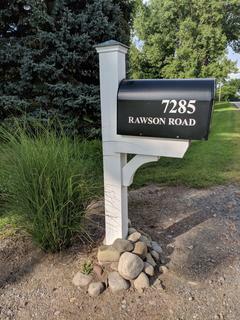 These mailboxes and posts are made from a die cast rust free aluminum. 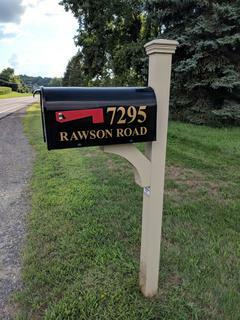 A weather resistant powder coat finish is applied. 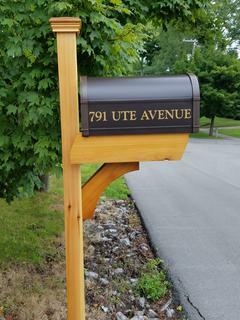 The mailbox size is 20% larger than other mailboxes. 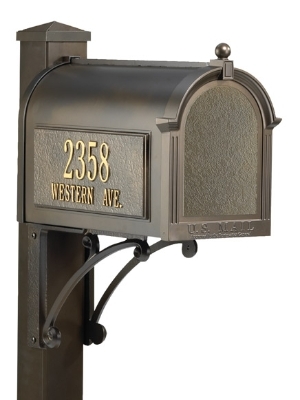 Four colors are available: Bronze, black, white and green. 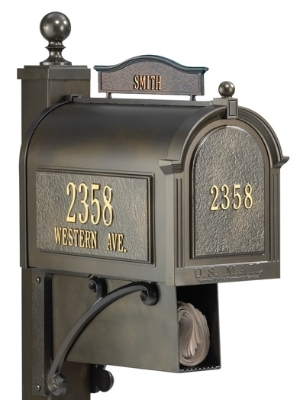 The optional newspaper holder is available on the ulimate and superior package.